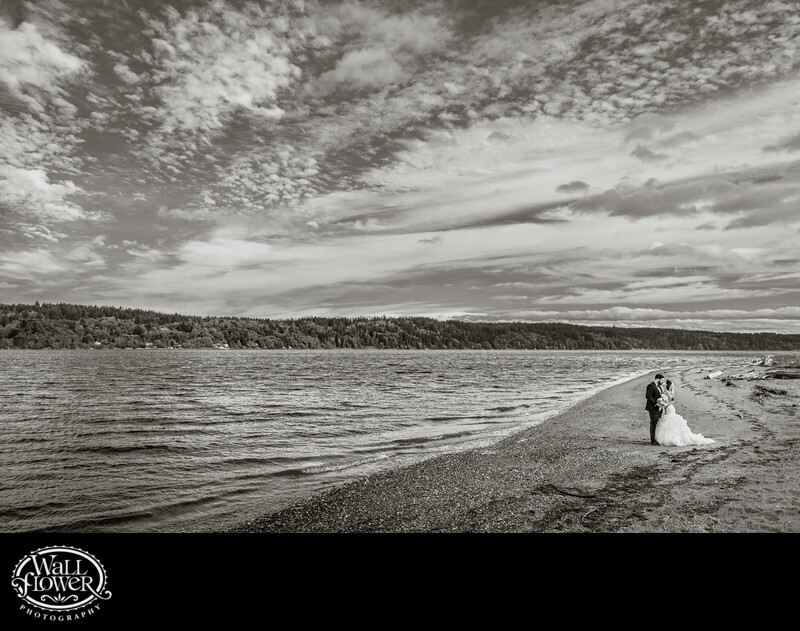 The Edgewater House in Ollala, Washington, might just be the best beach wedding venue in the Seattle/Tacoma region. Located in a rural area next to a county park, it has a long stretch of mostly sandy beach with hardly anyone around, perfect for photography! In this photo, I let the bride and groom walk ahead of me, and then asked them to turn toward each other and kiss. While I kept similar versions of the photo in both color and black and white, I love this version the best as the desaturation of color allowed me to enhance the detail in the beach, water and sky more than I could do with color.